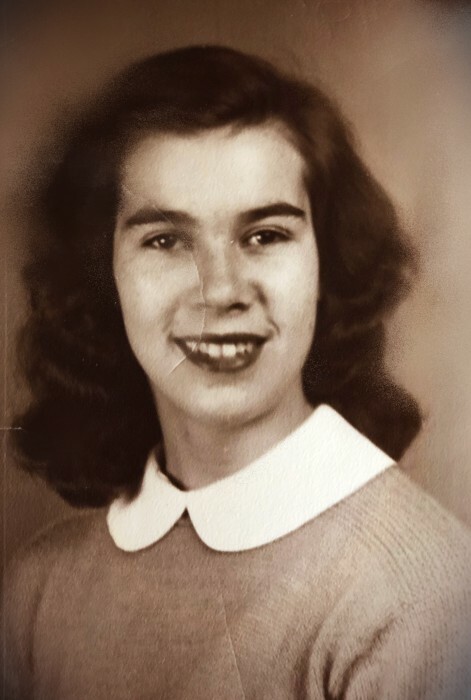 She was born on July 13, 1931 in Sharon, CT the daughter of Aubrey and Mae (Hall) Corbett. On November 5, 1949 in Philmont, NY she married Milton L. “CY” Bryant. He predeceased her on April 23, 2008. Survivors include her daughter, Patricia and her husband Sheldon Waldorf of Ancram, NY four sons, Gary Michael and his wife Juanita Bryant of Hudson, NY; Terry and his wife Deborah Bryant of Ancram, NY; Thomas Bryant of Ancram, NY; James and Joanna Bryant of Charleston, SC; two brothers, Patrick and Peter Corbett; ten grandchildren, Jason, Michael John, Luke, Alyson, Jon, Scott, Valerie, Renea, Steven, Joel; twelve great grandchildren, Kane, Nolan, Katelyn, Connor, Cole, Emma, Elizabeth, Isabella, Brody, Gavin, Carter, Charlotte; several nieces and nephews. Calling hours are Thursday, December 6, 2018 from 4 to 7 PM at Peck & Peck Funeral Home 7749 South Main St. Pine Plains, NY. A Mass of Christian Burial will be celebrated on Friday, December 7, 2018 at 10 AM from the Parish of Our Lady of Hope, 8074 NY-22 Copake Falls, NY 12517 with Rev. George Brennan, officiating. In lieu of flowers, memorial contributions may be made to charity of one’s Choice.